As I mentioned in this post, a week ago was my sister's birthday. So even though we had cake on her real birthday in addition to the amazing cake she helped me bake for her party, she wanted to bring in cupcakes to school to share with her class. Well, anyone who knows my sister at all knows that she is obsessed with zebras (did you notice the purple zebra ribbon tied around the kit kat cake?). It all started when she was three and saw the movie Racing Stripes. It's actually a pretty funny movie, but after you've been forced to watch it dozens of times, the humour wears off. So, when I saw a recipe for zebra cake, I knew that I would have to make it some time. Instead of a whole cake, though, I adapted it to cupcakes! Okay, in that picture, they remind me more of cows than zebras...but wait until you see the inside! 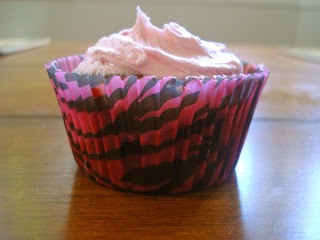 These were a hit with Liv's class, but really, how many ten-year-olds aren't going to appreciate a cupcake? Especially during school! 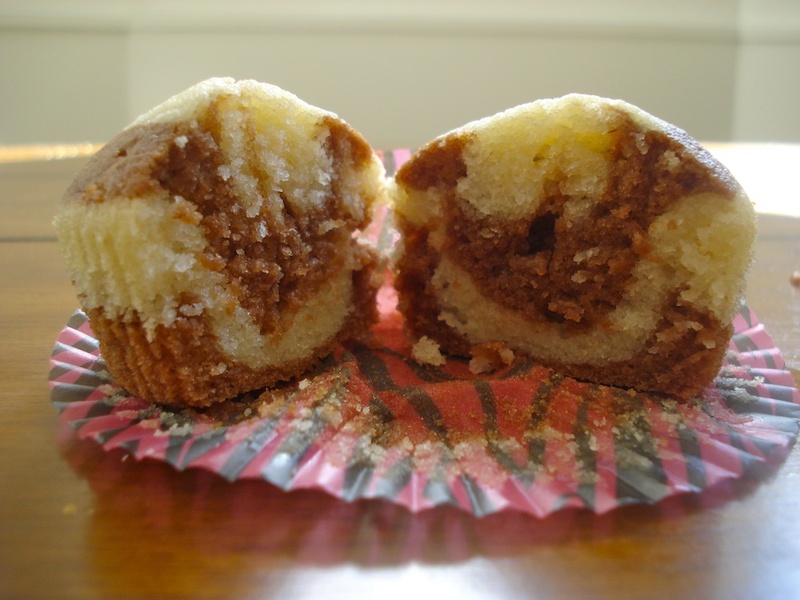 These yummy cupcakes are like a cousin of marble cake, but the layers are just arranged differently. Look how cute they are! When you make the 9-inch round cake recipe, you can definitely get more layers in, and it looks even more zebra-ish, but I think these cupcakes still look really good! They're great for the zebra fanatic in your family, or just as a fun treat! In a large bowl, beat eggs with sugar, vegetable oil, buttermilk and vanilla. 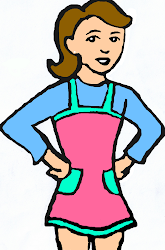 Pour in flour mixture and stir until just combined. Remove two cups of batter and place in separate bowl. Stir chocolate into this batter, leaving the remaining batter plain. 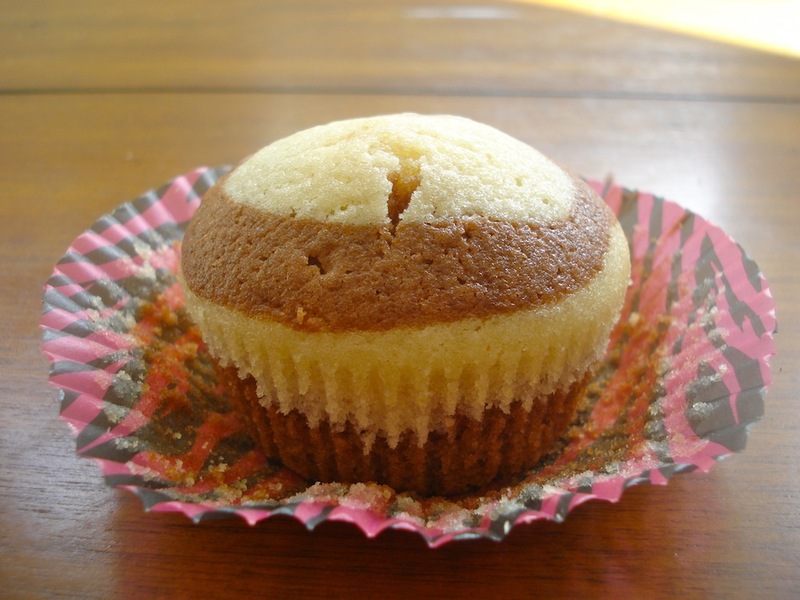 To make zebra effect, spoon a bit of chocolate into a muffin cup, then add some vanilla over top. It showuld look like a "bull's eye". Continue layering until cupcake liner is 3/4 full (for an example, look here). 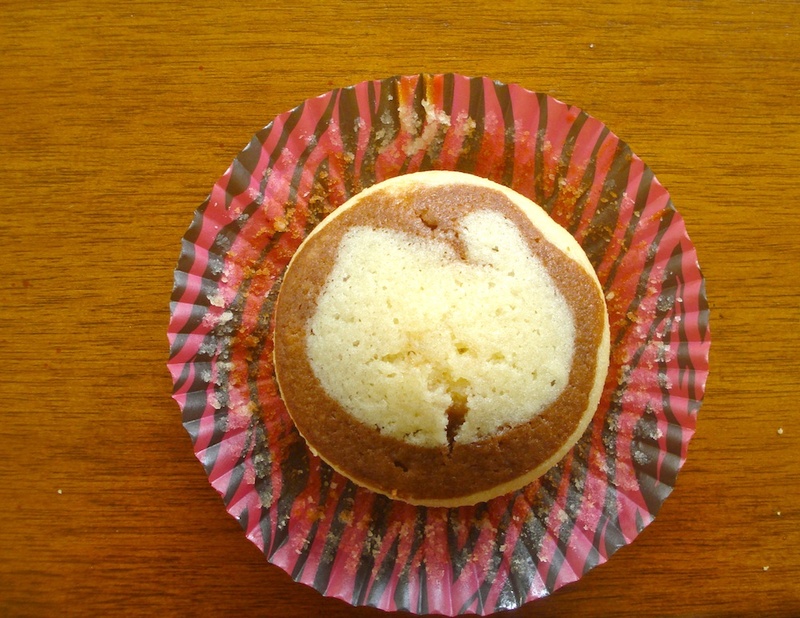 Once cupcakes are cool, frost with your favourite frosting recipe. I used the recipe seen here.